ISE has been a 1-1 iPad school since 2011, empowering opportunities for personalized learning through an inquiry based approach. Our teachers work with our technology integration specialist on incorporating technology into the curriculum on a daily basis, to promote life-long learning skills and and develop students’ digital competencies. Collaboration and sharing of practices among our teachers is a common routine, reasons for which we are often visited from teachers from other countries and recognized for our innovative practices. Our school’s campus offer a robust wifi, allowing mobile learning to take place anywhere at anytime. We are a Google Apps for Education (GAFE) school and use ManageBac as our integrated Information and Planning System. In an effort, to take our technology integration vision a step further and promote even more the capabilities of personalized instruction, ISE encourages students to bring their own laptops and other peripherals to school that can support their learning. ISE has implemented a Bring Your Own Device (BYOD) in the Diploma Programme, with every student required to bring their own laptop to school. Our goal is to expand our BYOD to Middle School within the years to come. ISE always looks for ways to promote student creativity, critical thinking and provide students with the necessary skill-set for their future. We listen to our students’ needs and interests and try to develop programmes and activities that keep them engaged and promote their leadership skills. Therefore, we are developing a small Maker Space which we are hoping to expand in a much larger space over the next few years. 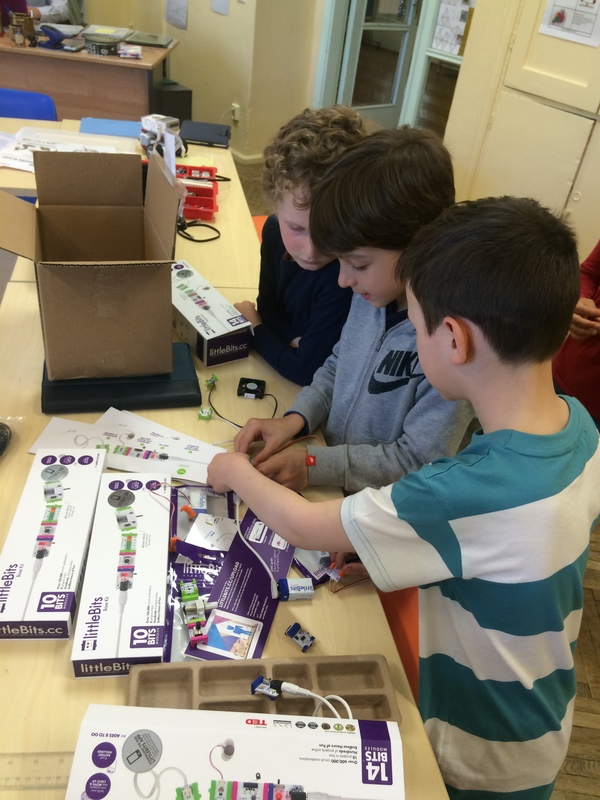 Our school utilizes educational Robotics kits, littlebits, and a variety of software to introduce our students to engineering,electronics and computational thinking. To achieve our goals we offer a Programming Club and a Robotics Club for Lower and Middle School students, where they are encouraged to test out their ideas, empower their creativity, expand their curiosity and participate in tinkering challenges. This year we will also be offering a pilot after-school programme for Middle and Upper school, working with the Arduino Kits. Below you can find an example of some of our 2nd grade students working on an Energy Saving Design to promote awareness, as part of our sustainability project, utilizing littlebits.